I'm starting to get excited about running again. Well, more excited. I love running. I absolutely love it. But still sometimes I need to take a step back, so that I don't burn out. It's similar to mothering. I love my children desperately. Being a mom is one of my favorite things in life. But every once in a while, I need to get away. I need a girls night. I need alone time. Quite ironically, running is often my alone time in the midst of mothering. After my January marathon I took it easy for several weeks. I ramped back up to train for a May 10k and then right back into training for a July 15k. I've run about 40 miles in the past month, compared to 72 miles in June! Interesting side note: I've run 411 miles so far this year. I need to double check, but I think I ran around 500 last year and had a goal of 750 this year. I may actually exceed that goal. I wonder if I could hit 1,000. Hmmm. New goal? Even though I haven't been running, I've done a lot of sweating with Insanity. 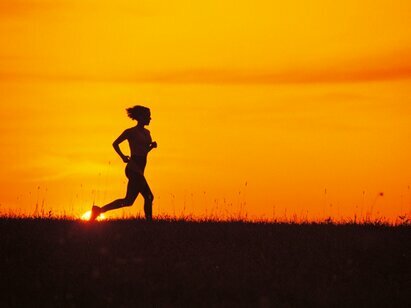 I know that cross-training is important and the interval training of Insanity is really good for running. But next week half marathon training begins. Part of me wishes I was training for a full, but with starting nursing school in 3 weeks, I need to see how that goes before I commit to training for that long distance again. Maybe it's the Olympics. Maybe it's that I'm refreshed. Maybe it's that I know I need to start getting back into an earlier morning routine since school will start for the kids before I know it. Maybe it's that I want that 2-hour half marathon so bad. Maybe it's the "Own It" plan in Train Like A Mother. I'm ready to run. Ready to run plenty of miles and find a way to cross-train and strength train too. I'm setting the alarm for 5:45am. The Olympics thwarts the best laid running plans!